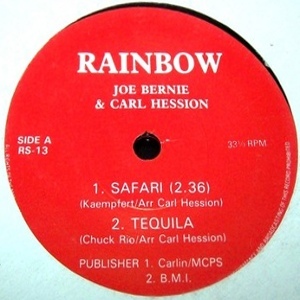 The Rainbow label was active for most of the 1980s. 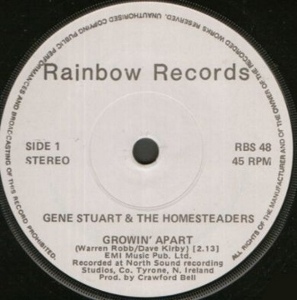 The label had two distinct designs. 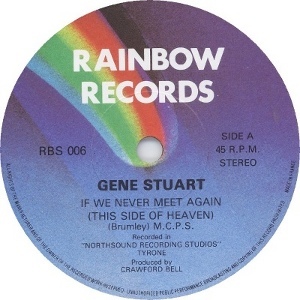 The first label has an MCA-like multicolour rainbow logo on the label. The second label has a less slick black/white/red label. Other, simpler variants exist: a red/white design label, a red/white text only label and a black/white text only label. These label variations do not seem to follow a simple chronological order. The logic behind the numbering system and the variation in prefix are things I've yet to decode. 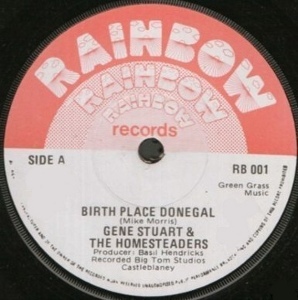 Most records have the multicolour rainbow label. RBS 020	Big Chief, White Dove & The Apaches - Where Were You On Our Wedding Night / Listen To The Children [198?] 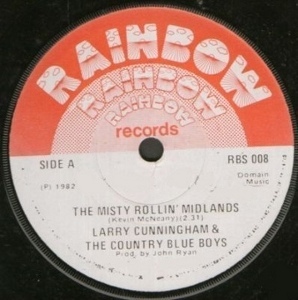 (MCA-like label). RBS 023	The Rascals - Ages of Black and White / ? RBS 037	Big Chief, White Dove & The Apaches - We Were Meant To Be Lovers / But Love Me [ca 1983]  (PS) (MCA-like label). RBS ?? John Greer - Mamas Face 7"